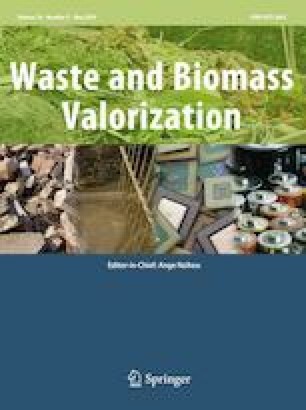 The work highlights preparation of adsorbents using a common agricultural waste, wheat straw (WS) its characterization and adsorption efficacy. After separation of wheat seeds, whole stem and leaves remain as a waste. WS is used for the preparation of two adsorbents by distinct methods [ash by combustion wheat straw ash (WSA), biochar by pyrolysis i.e. wheat straw char (WSC)]. The synthesized adsorbents (WSA and WSC) are characterized by scanning electron microscopy, X-ray fluorescence, CHNS (ultimate analysis), Brunauer, Emmett and Teller (BET) surface area technique and Fourier transform infrared technique. XRF analysis confirmed presence of SiO2 (58%), K2O (6.85%), CaO (4.16%) and P2O5 (1.65%) in WPA all of which act as micronutrients to plants, whereas CPC contains carbon along with SiO2 (15%) as major constituent. A progressive increase in BET surface area was noted by change in preparation methods: WSA (37 m2/g) and WSC (96 m2/g). In this manuscript, adsorbents prepared using WS were characterized in detail and their adsorptive abilities were investigated using a commonly used herbicide, 2,4-dichlorophenoxyacetic acid (2,4-D), as a representative. Batch experiments were conducted to study the effect of different operational parameters such as adsorbent dose, initial 2,4-D concentration, contact time and pH. Experimental data were analyzed with Freundlich, Langmuir, and Temkin isotherm models, among which the Langmuir isotherm model showed the best fit. Pseudo-first-order kinetics and pseudo-second-order kinetics were applied to experimental data and pseudo-second-order kinetics showed the best fit. The adsorption capacity of WSA and WSC was found to be 1.89 and 3.02 mg/g, respectively, whereas equilibrium time was found to be 120, and 240 min, respectively. On the basis of adsorption capacity per hectare dose of WSA is recommended for removal of 2,4-D. Authors are thankful to the Science and Engineering Research Board, India for providing research grant (SB/S3/CE/077/2013) to undertake the work. Authors are also thankful to the Indian Bureau of Mines, Nagpur, Department of Metallurgy VNIT, Nagpur, and Department of Physics Nagpur University, Nagpur for their instrumentation facility.